Every time school breaks for holidays, the Fusion team put something fun together. It’s about getting active, meeting new people, and having fun. These outings are free or low cost, and are a great opportunity to stay engaged during the school holiday period. 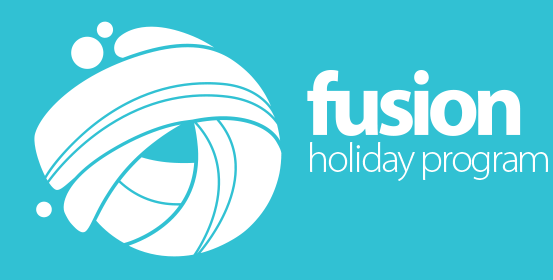 These January school holidays, Fusion are running a 2 day, “SUMMER SPLASH” Holiday Program. 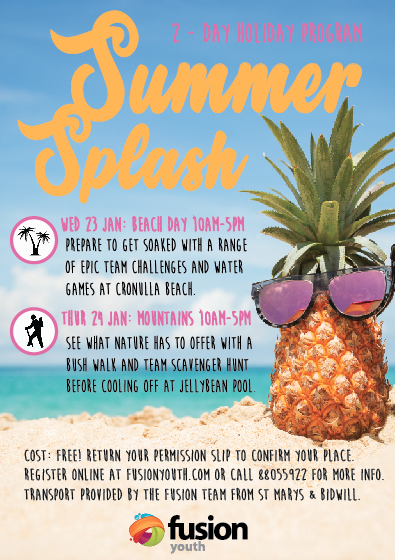 Prepare to get soaked with a range of epic team challenges and water games at Cronulla Beach. See what nature has to offer with a bush walk and team scavenger hunt before cooling off at Jellybean Pool. Meet at our Fusion Cafe in St Marys, corner of Queen and Station St (Opposite the Train Station).